How can something as silly and inconsequential as the placement of human-style eyes on talking, anthropomorphic CGI cartoon cars provoke such heated debate? Because Internet, that’s why. The Internet is a bizarre place, a rich tapestry, as Jason called it, of ideas and cultures and communities and identities. 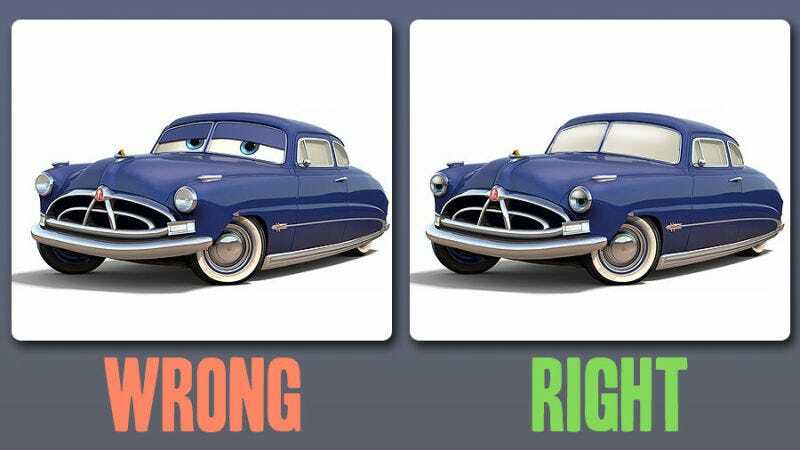 And Pixar’s Cars got caught in the middle of such a debate. We shouldn’t anthropomorphize machines anyway. They hate it. I don’t know, has anyone asked them?